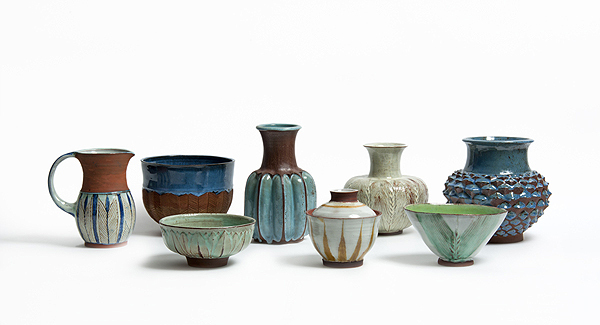 From the 29th of November 2018 until the 3rd of March 2019, a number of Danish collectors will be exhibiting 100 years of Danish ceramics at the Maison du Danemark in Paris. 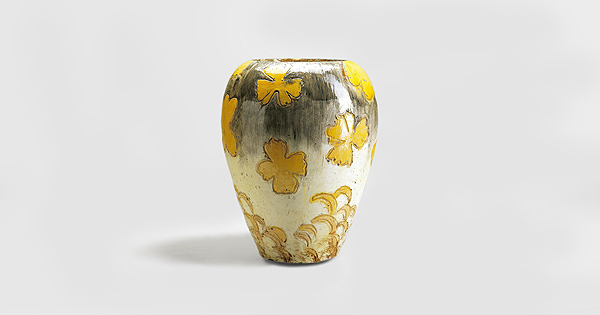 This exhibition, curated by Carsten Bagge Laustsen, aims at presenting the evolution of Danish ceramic art and showcasing to the French public the vitality and diversity of creation in this field, always ensuring a subtle bond between natural forms, function and technical excellence. Thanks to the exceptional loans from renowned private collectors, the Maison du Danemark will be opening its doors to a retrospective bringing together over 500 pieces from the most important Danish artists. Ceramic art appeared in Denmark in the 1880s notably with Thorvald Bindesbøll (photo here-above) and Niels Hansen Jacobsen, who worked ceramics in a sculptural manner. They molded clay into busts, sculptures, reliefs as well as dishes adorned with abstract decorations. An abstract form of expression developed, characterized by glazes which became a central focus in their own right. Instead of pre-delimiting and controlling the glazes, they were let run freely. 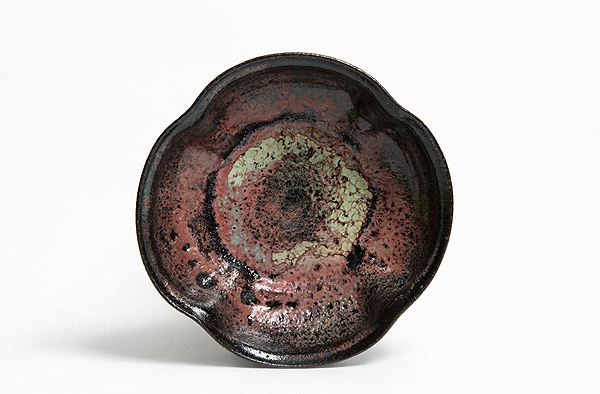 If this running glaze technique was initially inspired by Japanese ceramics, the influence of French art nouveau may also be noted. Most ceramic artists worked for a certain period for the Danish Royal Porcelain Factory and for Bing & Grøndahl. They greatly influenced part of the production of these companies, particularly that of sculptural objects and of stoneware pieces. We are able to discern the early stages of what became the “Scandinavian modern”, clean shaped stoneware pieces inspired by ceramic utility objects. Superfluous decoration disappeared giving way to clean lines and simple glazing – often a single one per vase. 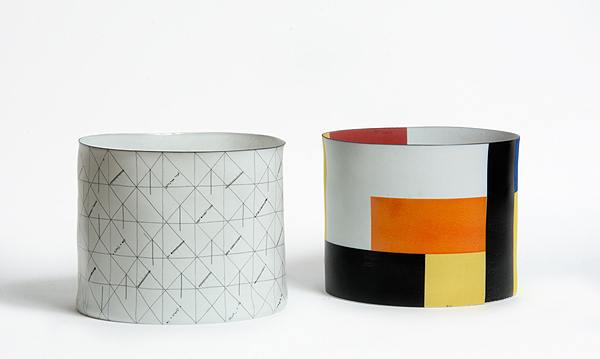 As the development of ceramic art and the perception of applied arts as being a distinct field progressed, a number of studios were created as of the 1920s. 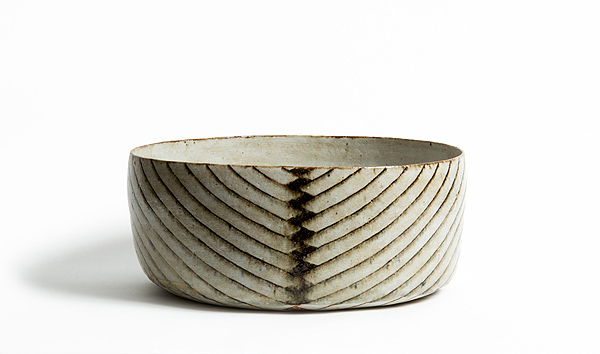 Within these studios ceramists dedicated themselves to working upon the strong basis of traditional Nordic craftsmanship. 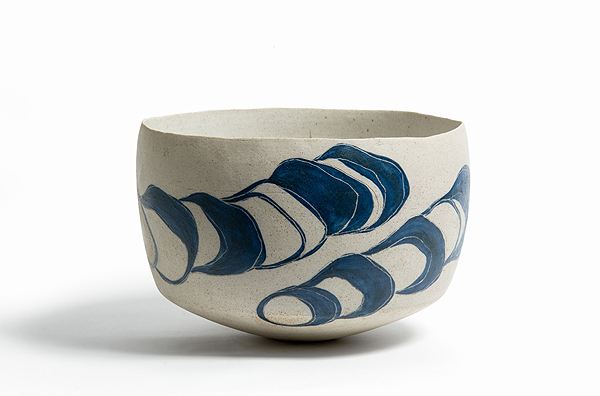 Saxbo and the functional vocation studio ceramics of the 1930s to 1960s confirmed Danish applied arts upon the international scene. The most successful and accomplished works in terms of quality thereafter gained the designation “studio ceramics”. 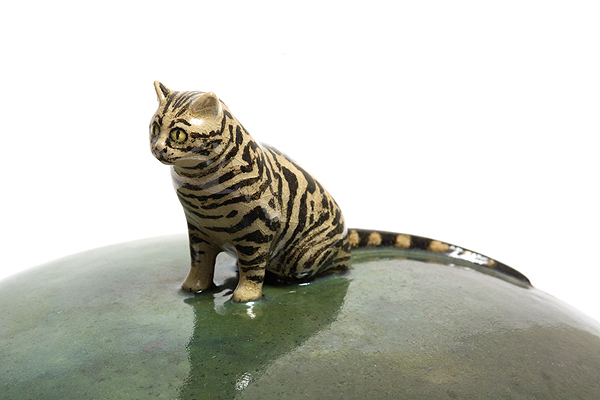 During the years between the two world wars and post World War Two, ceramic art evolved in different directions. Modernist artists such as Erik Nyholm and Asger Jorn went in a more experimental direction. Both worked their medium in an unconventional manner and were often assisted by potters for technique. Another group of ceramists, producing high temperature fired clay pieces, greatly drew their inspiration from traditional Danish Pottery. Gutte Eriksen (image here-above) played a determining role in this regard and her influence, spoken of in terms of the Gutte School, is primarily established in Jutland. Artists on the island of Zealand and around Copenhagen, the capital, were attached to a more classical means of expression and often created lighter and thinner objects with simple decorations. 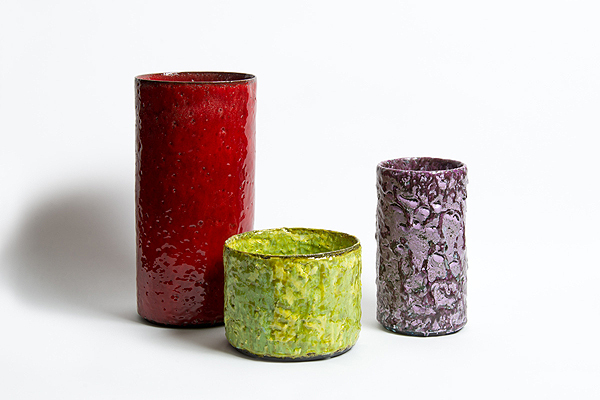 Amongst the artists of this tradition, who’s works are exhibited, we find Bodil Manz (image here-below), Alev Siesbye and Beate Andersen. Finally, particular mention should be made of the ceramist hub of the small Island of Bornholm in the Baltic Sea. Several large manufactories were established upon the island, in particular the Hjort factory that found itself at the origin of production of a great number of ceramists. Artists often began there before beginning their own studio. The two sisters Gertrud Vasegaard (image here-below) and Lisbeth Munch-Petersen (both born Hjorth), both greatly interested in the shapes and colors of nature may be cited in this respect. During the 20thcentury studio ceramics has become a discipline evolving between ceramic art and pottery derived applied arts. The conceptualization of the relationship between art and ceramics gained considerable significance by the end of the 1990s. Danish groupings have been more and more influenced by international interaction and materiality has become a pivotal element over the past 20 to 30 years. 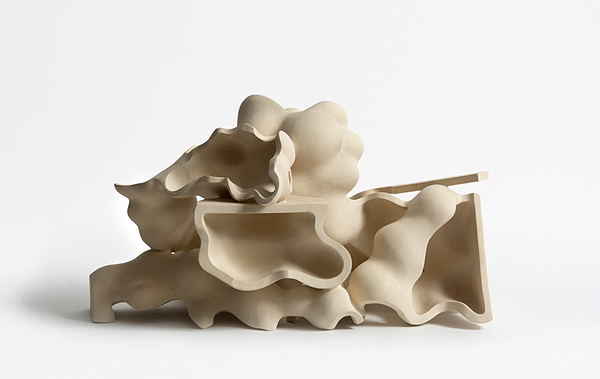 The glazing experimentations of Christina Schou Christensen, Bente Skjøttgaard and Morten Løbner Espersen, or the complex sculpture of Karen Bennicke (image here-below) and Steen Ibsen, are prime examples of this material focus.